Dr Xanthé Mallett is a forensic criminologist (University of Newcastle, Australia), author, television presenter, and social commentator. Xanthé specialises in re-investigating cold cases, often through the use of the mass media to generate leads. 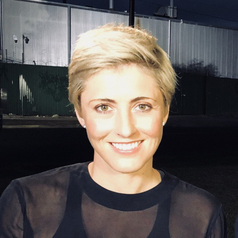 She relocated to Australia from the UK in 2012, and since that time she has presented a number of series, including 'Wanted' for Channel Ten, and a news special based on her book 'Mothers who Murder: And infamous miscarriages of justice' (Random House, 2014), and forensic cases for The Project. She also regularly contributes to news stories and is an active member of the community, supporting charity and community-based projects.